It was a muddy, sloppy day out at Allsopp Park yesterday, and Arkansas Outside has written up the Turkey Burn, with a bunch of cool photos and links. JBar also has some nice photos and comments. Results are linkable off to the right. 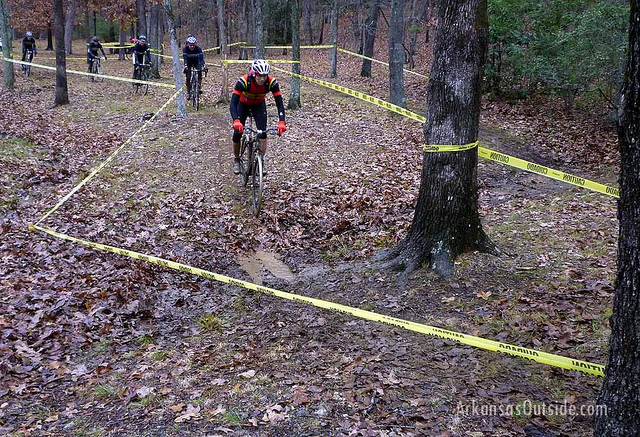 Hose off your bike and get ready for next Sunday's Jingle Bell Cross!